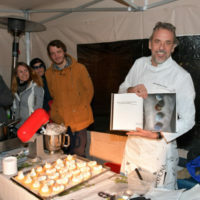 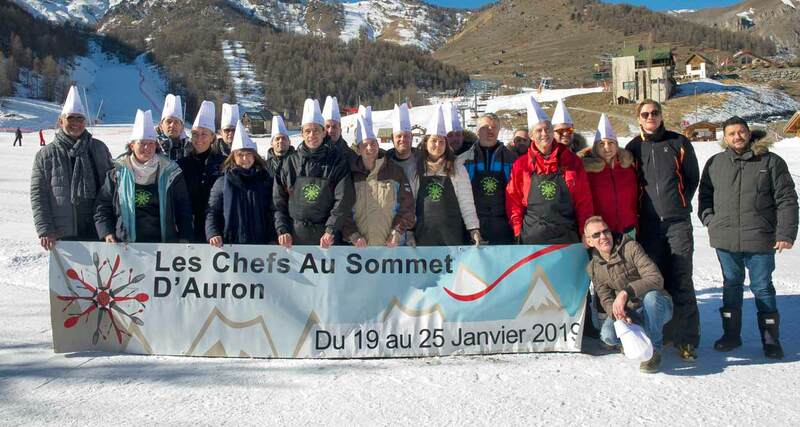 For its 8th edition, the Chefs au Sommet d’Auron 2019 celebrated the high gastronomy in the Mercantour snow with dinners by talented chefs and pastry chefs who also hosted delicious gourmet workshops at the foot of the tracks. 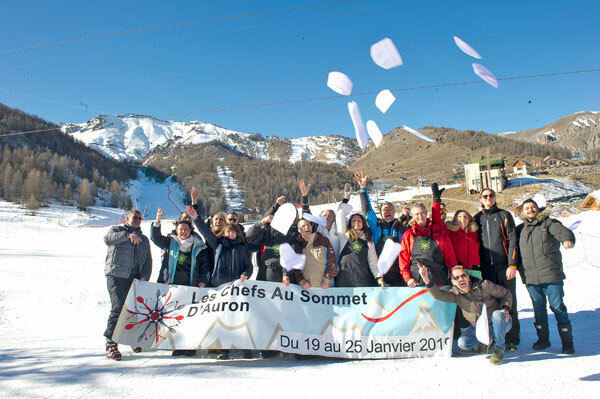 The Chefs au Sommet d’Auron offered from January 19 to 25, 2019, summits of tastes, mountains of flavors and peaks of culinary emotions in the heart of the iconic Mercantour ski resort. 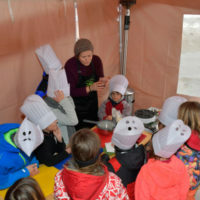 For eight years, the Festival of Mountain Gastronomy has been animated by talented chefs and pastry chefs from the French Riviera who share an authentic moment of culinary pleasure and conviviality with the tourists and inhabitants of Haute Tinée. 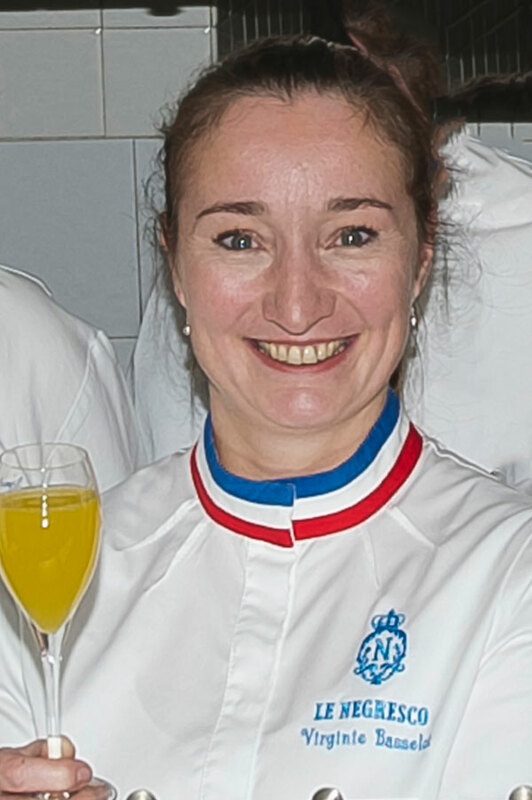 This year, the Cheffes were honored with – for the first time – a two-star MOF Cheffe as Honorary President: Virginie Basselot, executive chef of the Negresco in Nice. 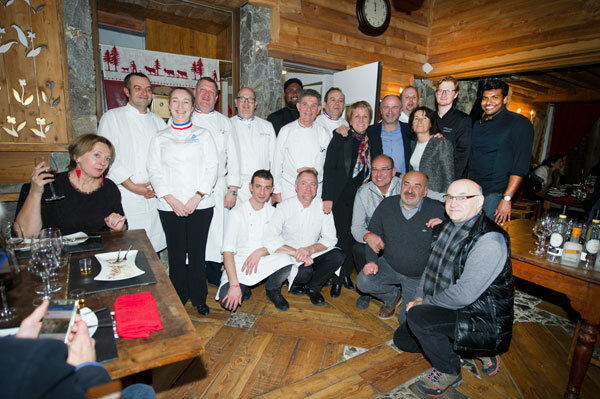 With the sumptuous summits of the Mercantour as backdrop, the Chefs au Sommet d’Auron celebrated the Haute Gastronomie according to an unprecedented recipe for happiness and culinary sharing. 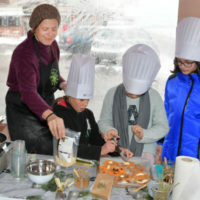 Take a brochette of renowned chefs, season with the authentic flavors from our mountain produts, add a touch of madness with the Toques Brûlées, a touch of pleasure with cooking and baking workshops for adults and children, and spice up a big ladle of relaxation, happiness and well-being. 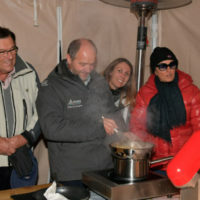 Finally, sprinkle with some snowflakes and let simmer for seven days in the sun from the peaks of the Mediterranean Alps. 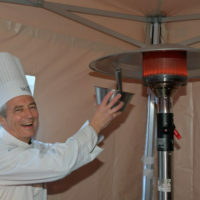 Under the honnor presidency of Virginie Basselot, two Michelin stars MOF, the Chefs au Sommet d’Auron offered a week-long cooking demonstrations, lectures, fun workshops and gourmand five to seven around the ice rink accompanied by the delicious cocktails of Victor Delpierre, Barista/Cocktails World Champion, creator of the Riounet, Auron’s official cocktail. 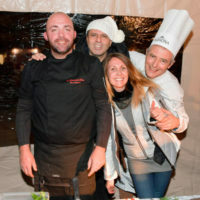 Every evening, the restaurants of Auron and Saint Étienne de Tinée have hosted in their kitchens talented chefs and pastry chefs who have concocted sumptuous gastronomic dinners at the single price of 45 euros for the inhabitants of Haute Tinée and holydaymakers. 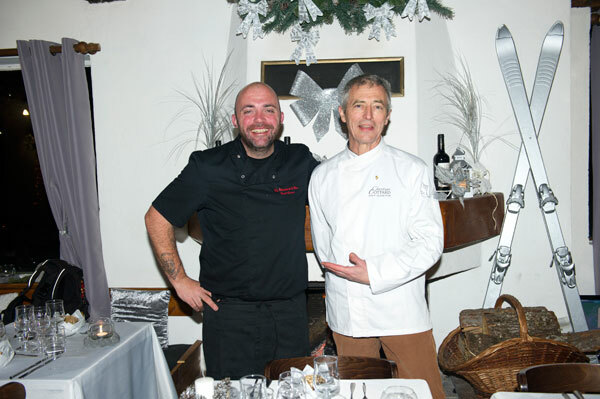 These exceptional dinners were savored by the fireplace, in the relaxed and warm and wooded atmosphere of the mountain restaurants dining rooms. 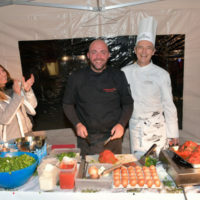 On Sunday, at the foot of the slopes, skiers and gourmets savored a salty and sweet show cooking during a giant barbecue hosted by the Toques Brûlées led by the dazzling David Faure. 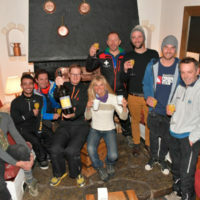 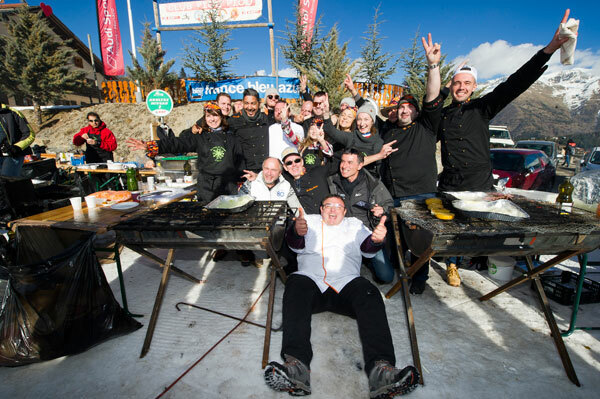 Each year, the supercharged chefs were still going strong to ignite the Auron tracks by grilling and having gourmet specialties tasted such as the Organic Mountain Soup, fine grilled fish, roast lamb on a stake, spicy squid skewers, grilled game… all that followed by a chocolate fountain. 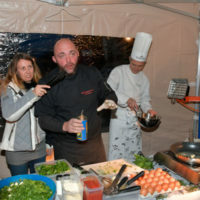 Mario Amégée, triple Ice Sculpture World Champion, carved his iced works of art to commemorate the event. 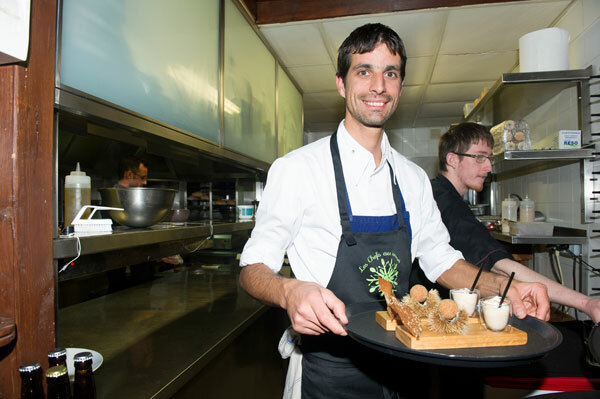 The Michelin star of Christophe Billau, chef of L’Auberge Quintessence in Roubion, who hosted a dinner at La Bergerie, is shedding light on the products from the high country, some fresh organic and seasonal products with a unique taste. 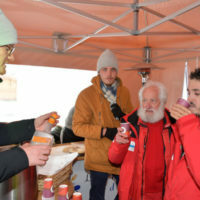 These raw materials are grown or raised by farmers and breeders passionate about their profession and their terroir, like those of the Montagnes Paysannes association, partners of the Festival of Mountain Gastronomy. 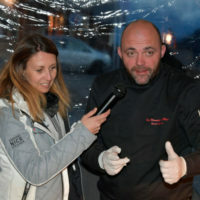 Commenting on his star, announced at the beginning of the Chefs au Sommet d’Auron, Christophe Billau quoted Alain Ducasse: “Good cuisine is 70% the product and 30% the cook”. 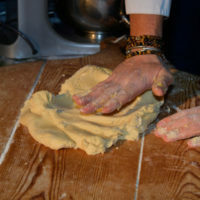 Ferme de Lavancia, Agnès Papone, Ruchers de Sallagriffon, Ferme du Poussinet, Potager de Saint Blaise, so many appellations which invites to culinary poetry and to authenticity of the savors. 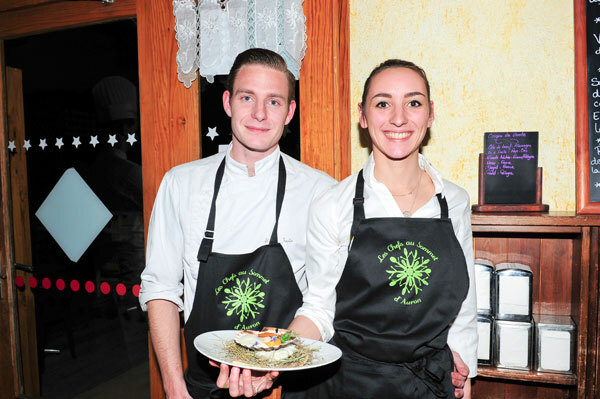 Another couple embarked on the challenge of mountain gastronomy to enjoy in beautiful and peaceful landscapes, by taking over L’Auberge Lo Robur in Roure: Déborah Georges and Kevin Seria, whose dinner at Le Gratusier gave an excellent overview of their talents. 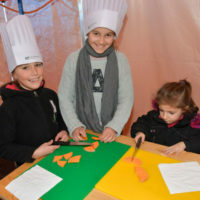 After the inauguration and the MOF Workshops, for seven days, the resort has enjoyed peaks of gastronomic delights with initiations and culinary tastings, conferences such as cuisine Nissarde with Laurence Duperthuy, (Notes de Cuisine in La Colle sur Loup) demonstrations by Chefs Akara Chay, La Vague de Saint Paul; Julien Matteo, Novotel Sophia Antipolis; Hermance Joplet, Le Castellars in Fayance; David Graziani, La Merenda de la Place in Gattières; Gabriel Degenne, Château de la Bégude in Valbonne. 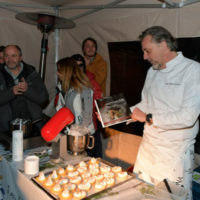 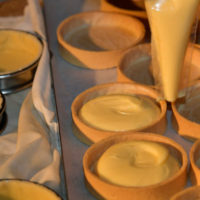 As for sweets, Steve Moracchini and Pascal Picasse have dedicated their book “Gourmandes” while Kalice Brun, local terroir connoisseur, Jean-Michel LLorca, (Alain Llorca in La Colle sur Loup) and Jean-François Lefèvre, (Casino Barrière in Cannes) have hosted pastries workshops. 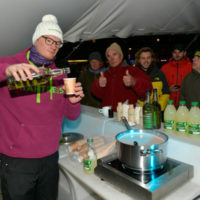 Victor Delpierre, Barista World Champion/Cocktail, showcased his delicious creation, Le Riounet, Auron’s official cocktail and initiated the skiers to La Chartreuse. 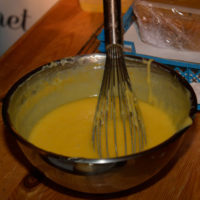 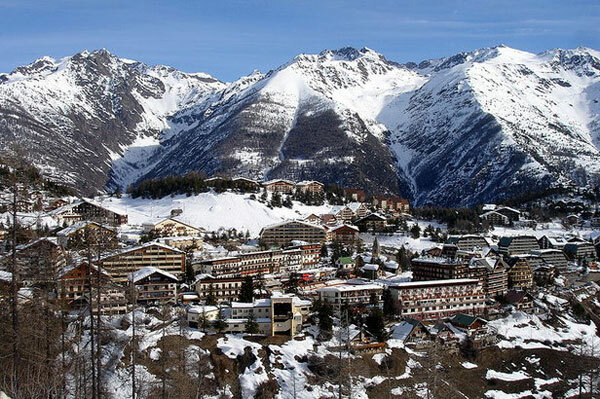 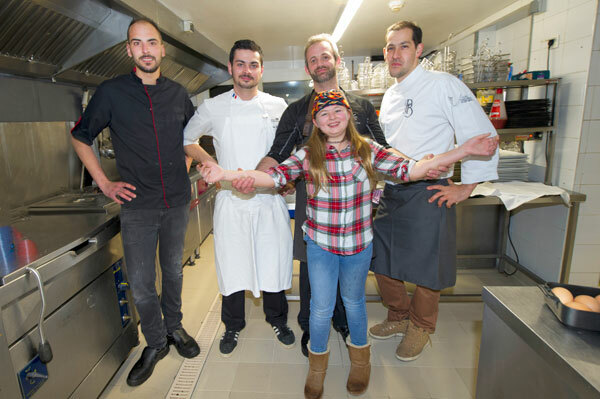 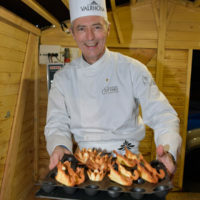 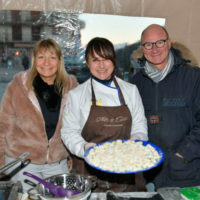 Every evening, the restaurants in Auron and Saint-Etienne de Tinée have hosted in their kitchens talented chefs and pastry chefs from the region who have concocted sumptuous gourmet dinners at the unique price of 45 euros per person. 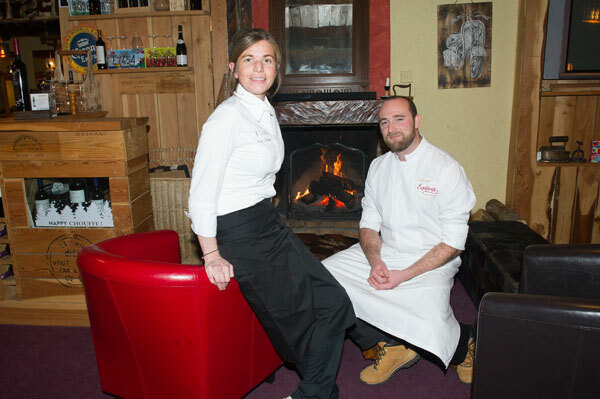 These exceptional dinners are enjoyed by the fire, in the relaxed and warm atmosphere of dining rooms decorated with the woodwork of mountain restaurants. 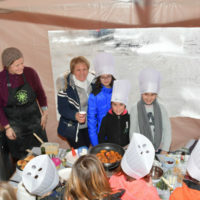 The gourmet menus, consisting of an amuse bouche, an entrée, a main course and a dessert have delighted both pupils and taste buds. 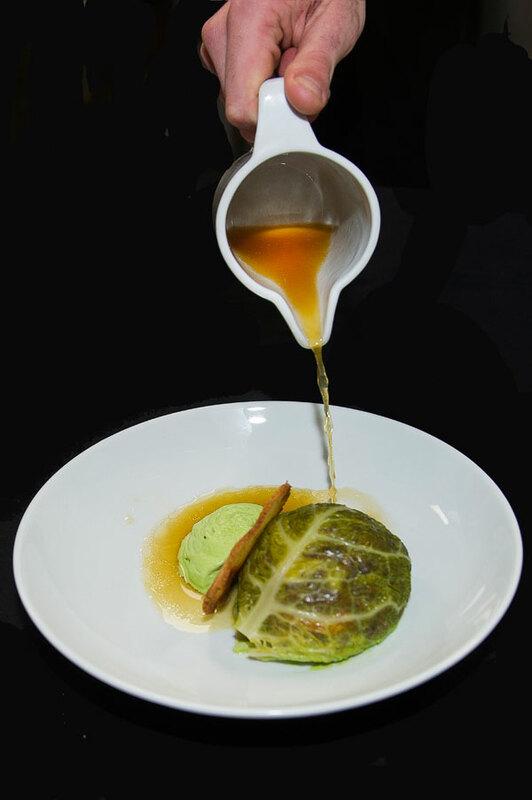 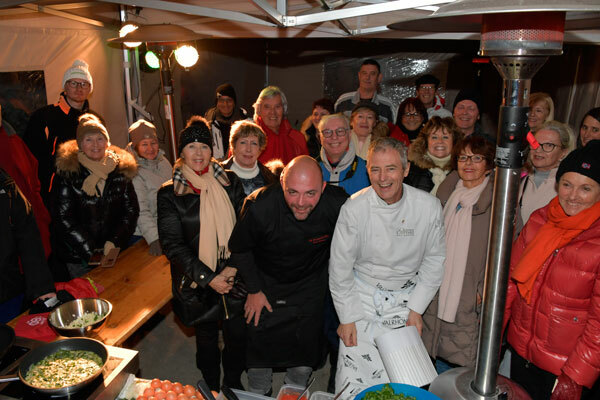 The gastronomes savored a very wide range of French culinary art with the products from the region, sublimated and honored by the theme Bio and Locavore of the 8th edition of the Chefs au Sommet d’Auron. 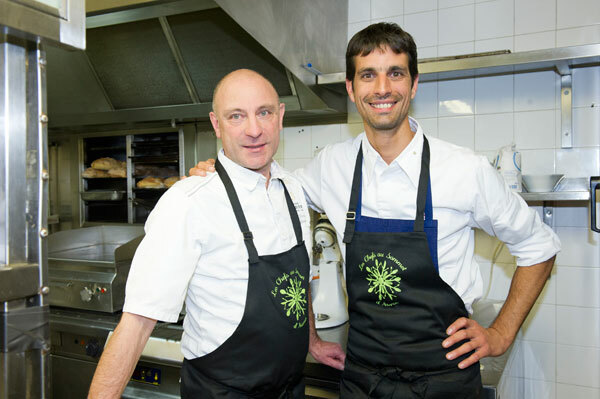 Déborah Georges (Auberge Lo Robur, Roure) and Pascal Picasse (Le Park 45, Cannes). 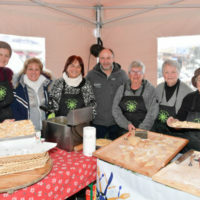 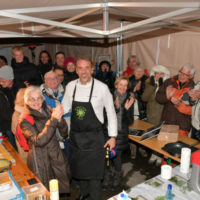 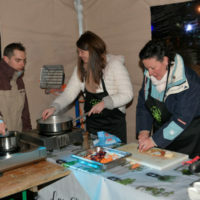 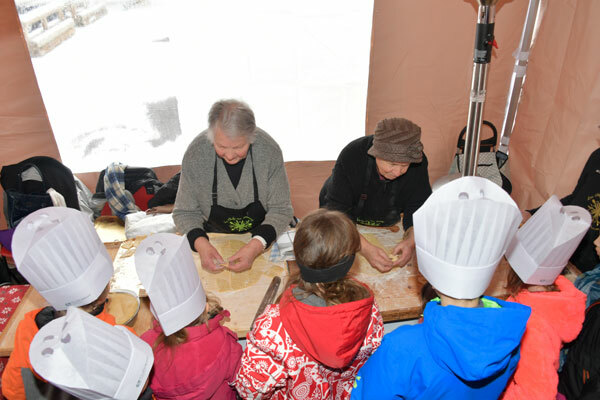 The Festival of Gastronomy was born from the initiative of members passionate about gastronomy of the association of the Traders in Auron and Saint Étienne de Tinée who, having woven ties of friendship with many starred chefs from the region, created the festival in February 2012. 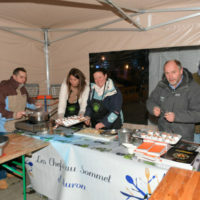 The gastronomic event Les Chefs au Sommet d’Auron is organized by the Association of Traders and Craftsmen of Auron and Saint Étienne de Tinée with the support of the municipality of Saint Étienne de Tinée, the Tourist Office, the SEM des Cimes du Mercantour and the Chamber of Trades of Alpes-Maritimes and Artisans Arts and Delight. 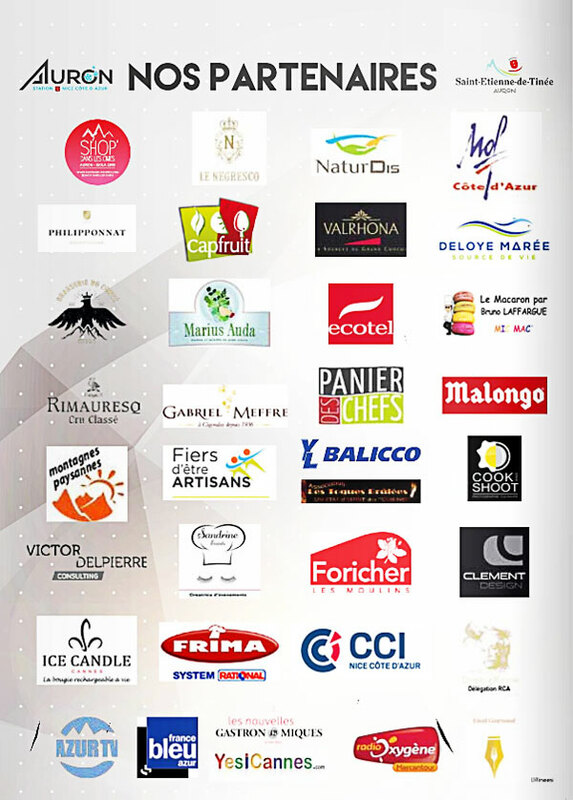 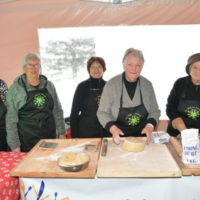 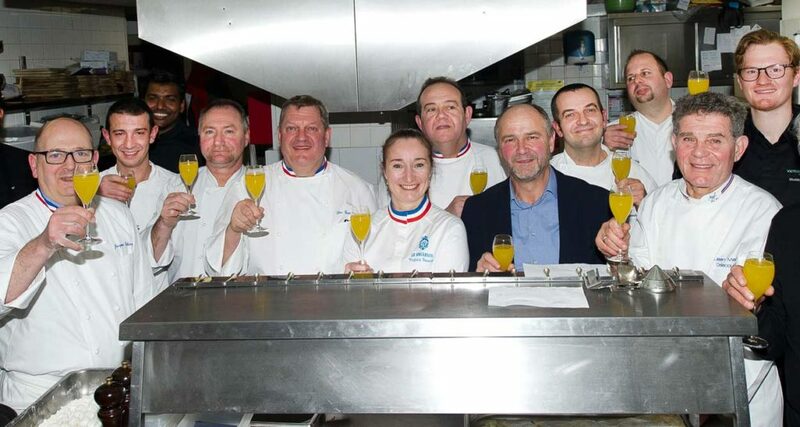 Like any large-scale event, the Festival of Gastronomy in Auron is supported by many partners who have made Les Chefs au Sommet d’Auron sparkle.